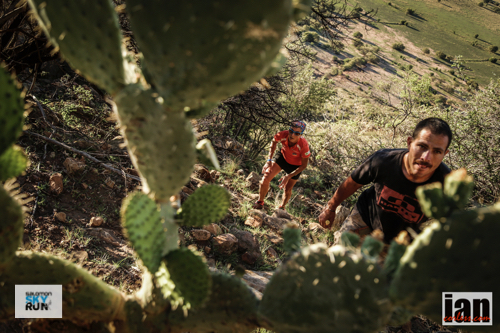 Embrace an opportunity to not only take part in one of South Africa’s toughest races but also be privy to a VIP package that will allow you to experience the journey of a lifetime. 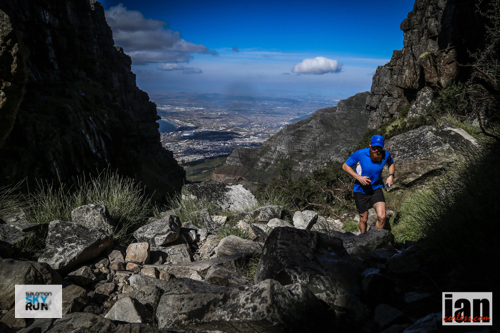 Following on from a successful inaugural experience in 2014, Salomon SkyRun are now offering a very exclusive package for 15 very lucky individuals in 2015. 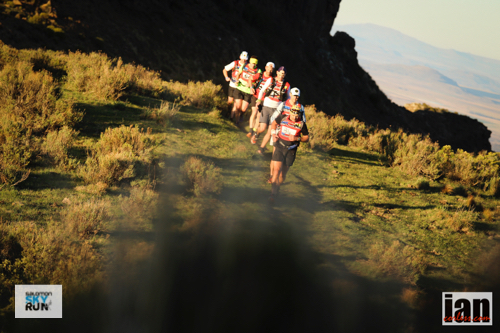 The Salomon SkyRun is a true mountain running experience on an unmarked course in the stunning Witteberg Mountains just off the southwest corner of Lesotho. 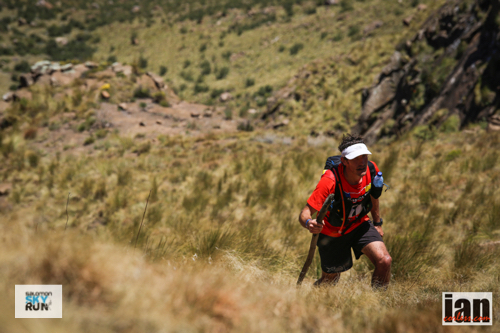 Offering a variety of tough and challenging terrain, SkyRun is a self-supported and self-navigation journey of 100-kms. 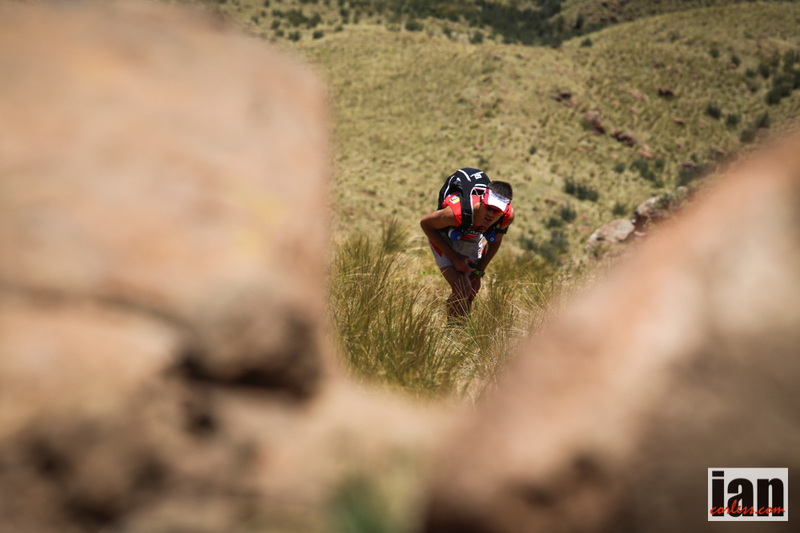 Leaving the town of Lady Grey behind, the beauty and remoteness engulfs each and every runner. 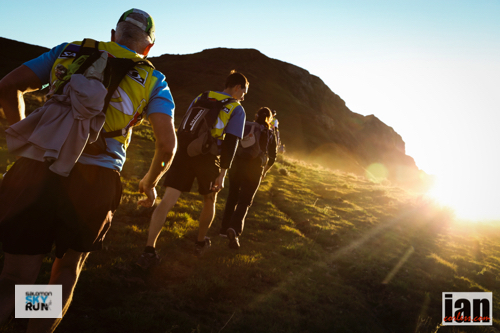 It is not uncommon to run for the entire race without seeing much civilization around you except those involved in the race. BIG NEWS a $10,000 prize purse is available for the first male to go under 12-hours or the first lady to go sub 14-hours 30-minutes. 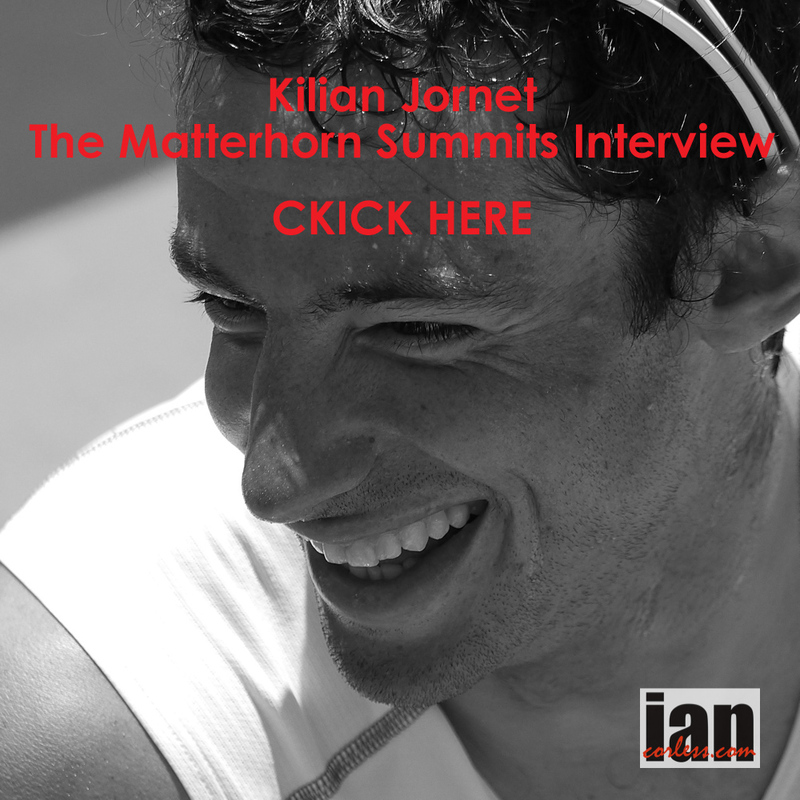 To experience first hand the journey of SkyRun, listen to Episode 75 of Talk Ultra HERE. 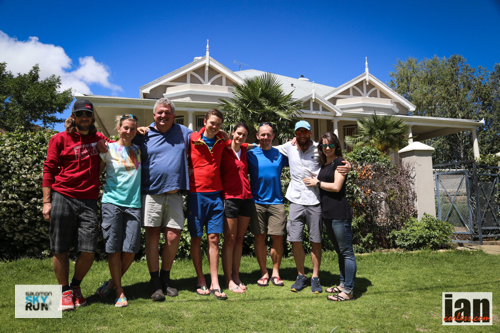 It is a special show that discusses in detail the route, the experiences of South Africa and has in-depth chat with Gary Robbins who placed second in the men’s race. The show also has interviews with ladies first and second place, Landie Greyling and Julia Boettger. 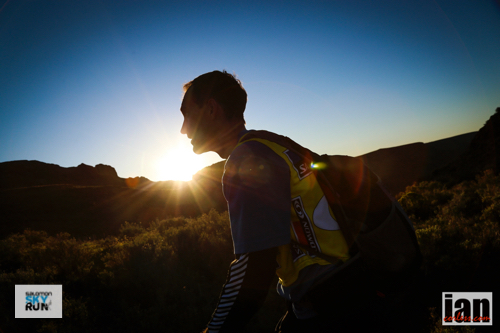 In addition the show brings sounds of SA and interviews the race directors, Adrian Saffy and Michael de Haast. 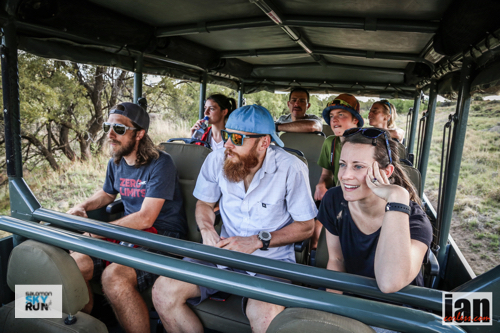 An evening in Lady Grey post race allows some rest and recovery before the 3-hour transfer journey to the stunning Moketsi Game Ranch. Moketsi is a jewel. A five star resort offering luxury accommodation on a full board basis. 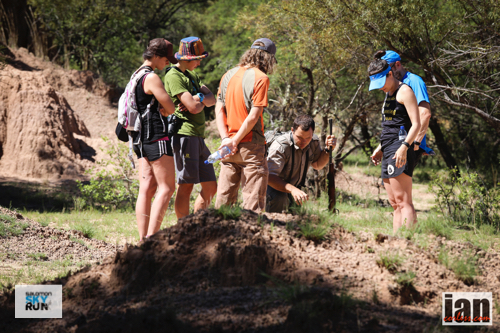 Moketsi provides an opportunity to experience wildlife on a personal level that is seldom scene or experienced. 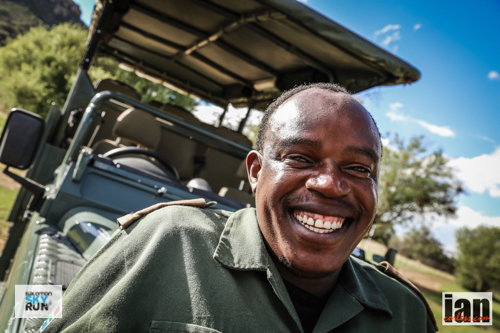 Go on safari in custom made Land Rover vehicles, drink a ‘sundowner’ as the sun departs the day and if you are lucky, experience the reserve ‘on foot’ under the guidance of the Ranch Manager, Gustav. 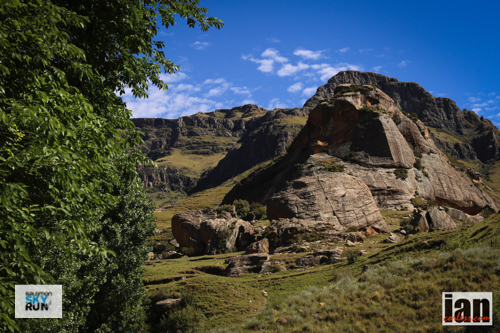 The Ranch covers some 6,000 hectares (65 km²) of beautiful grassland plains and contrasting mountain landscapes in a unique and comfortable setting for an exclusive and private experience. 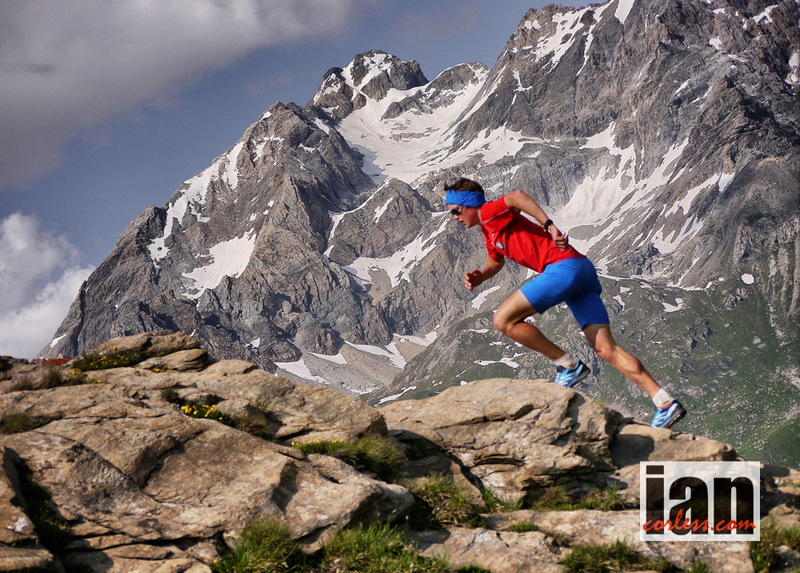 It may even be possible to run up Moketsi mountain… can you set an FKT? 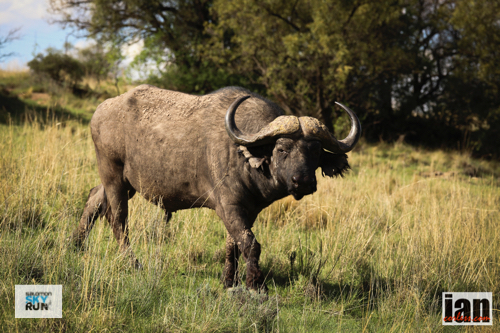 Moketsi has a large variety of game with four of the Big Five (including Lion, Rhino, Buffalo and Leopard). 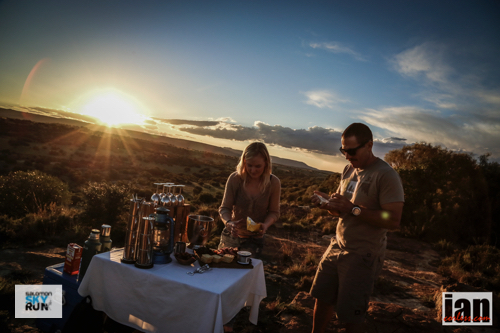 The varied landscape, range of animals, birdlife and luxurious accommodation make for a true outdoor experience. Leaving the quiet seclusion on Moketsi Game Ranch, a 90-minute transfer to Bloemfontein and an internal flight to Cape Town will awaken the senses to the bustle of South Africa’s second largest city. 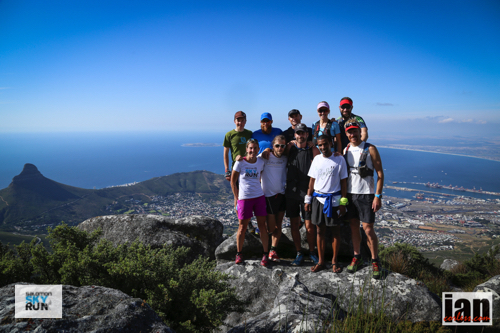 Hooking up with the local run scene, you will climb Lion Head, run up and down Table Mountain. 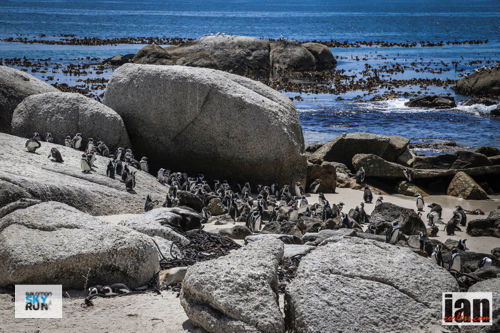 By contrast you will relax on the wine route visiting vineyards, watch the penguins at Boulders Colony and chill in Hout Bay with some quality seafood. 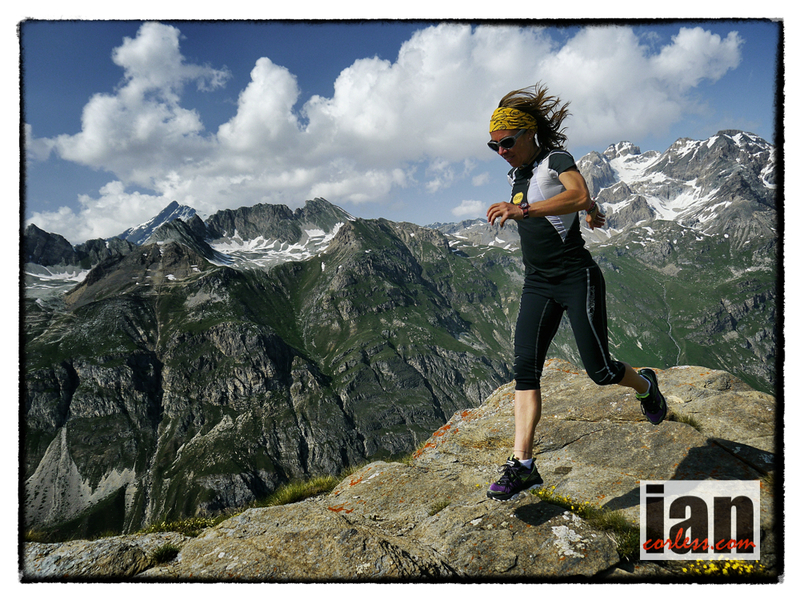 The Salomon SkyRun International Package is a once in a lifetime experience that is available at an incredible price. 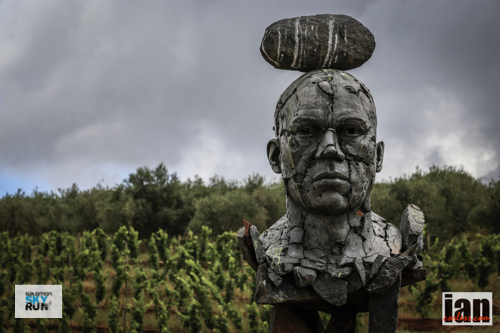 Only 15-places are available for this incredible experience distributed as 5 to the USA/Canada, 5 to Germany and 5 to UK/ Europe. The trip starts from Bloemfontein with a transfer to Lady Grey on Thursday 19th Nov and finishes with departure from Cape Town on Nov 28th. 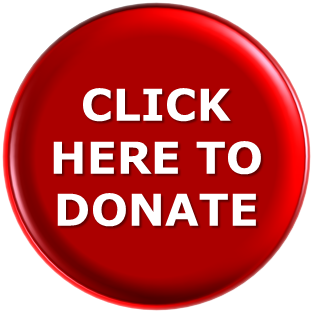 Please note that all arrivals must be in Bloemfontein on Thursday 19th November 2014 by 3pm. All accommodation is per person on a sharing basis as applicable. Single supplement applies. International flights: into and departing South Africa – arrival Bloemfontein, departure Cape Town. To book a place a non-refundable 25% deposit secures your place. Full balance is due, on or before 1st August 2015. Please specify your booking country. 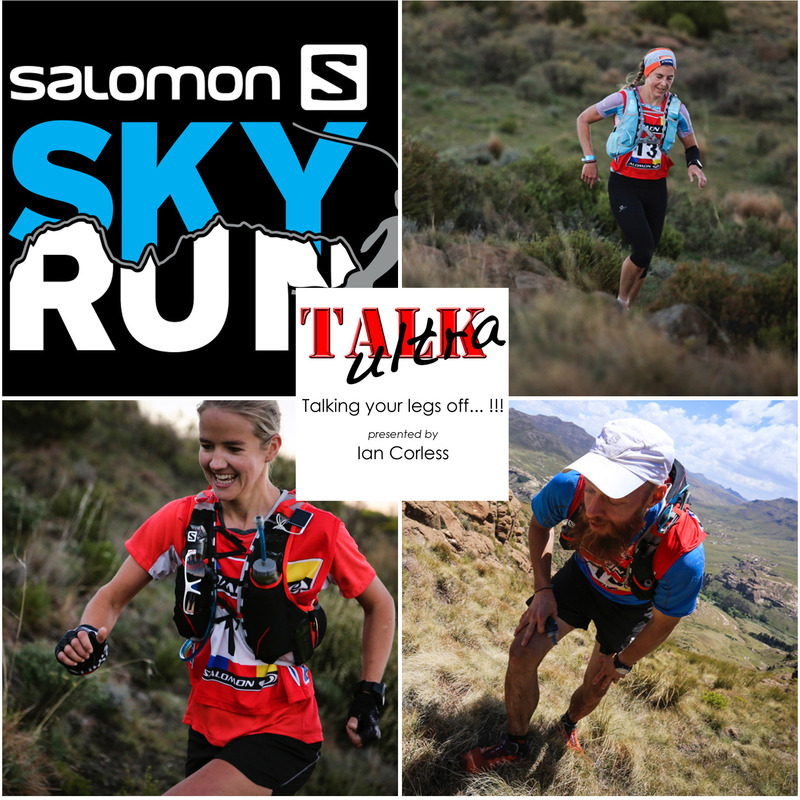 Episode 75 of Talk Ultra is all about the Salomon Skyrun and South Africa. We bring an interview with the ladies winner Landie Greyling. 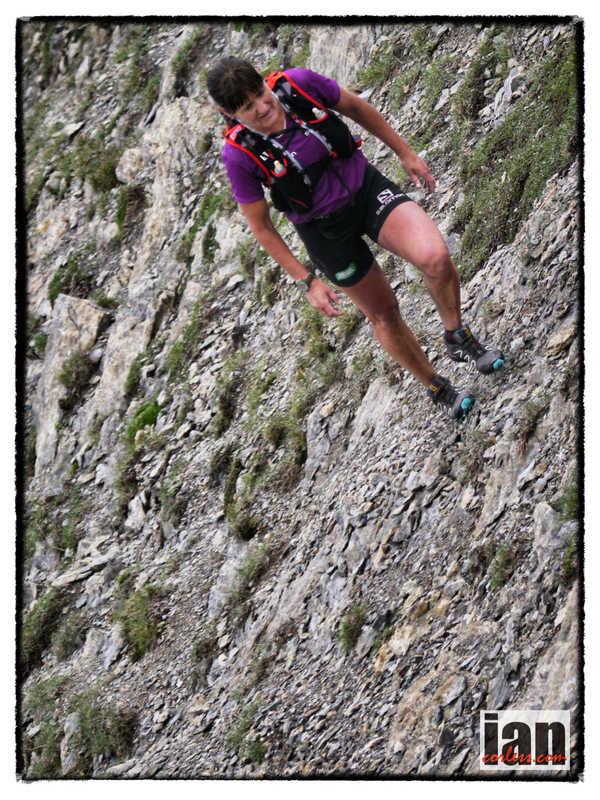 We also talk with the ladies 2nd place, Julia Boettger. 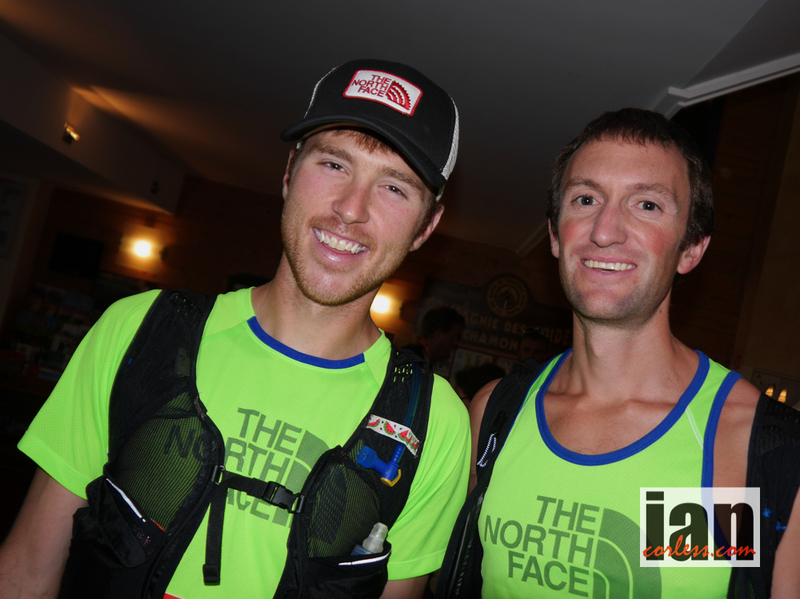 Gary Robbins placed 2nd overall and discusses in-depth his race and co hosts the show. 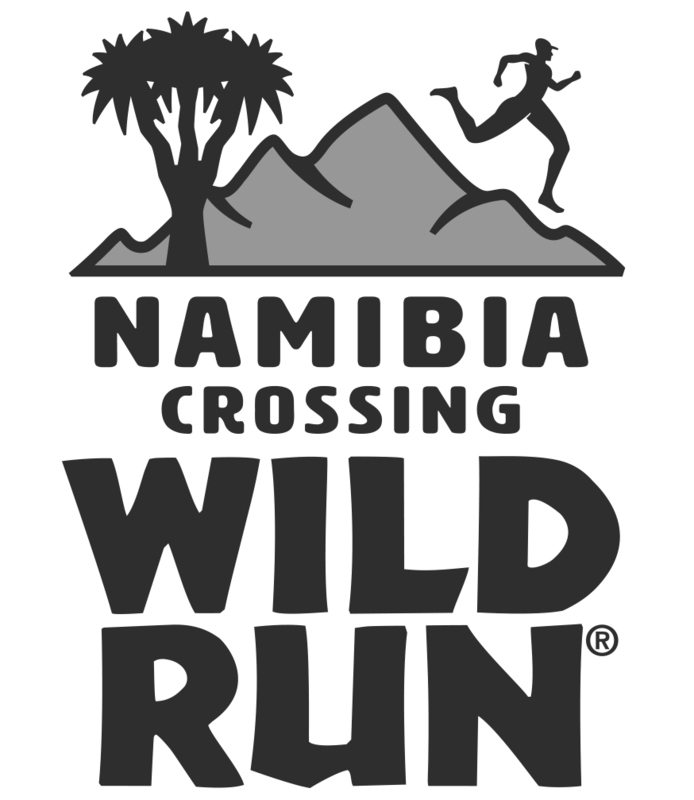 We bring sounds from Moketsi Game Ranch, experiences from Cape Town and talk Skyrun with Adrian Saffy and Michael de Haast. This weeks show is a little different to our usual episodes. 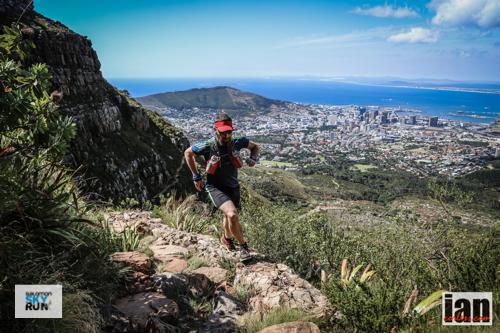 Gary Robbins placed 2nd overall in the race and he co-hosts providing an in-depth insight into the race, his experiences of South Africa and he even set an FKT on Table Mountain. 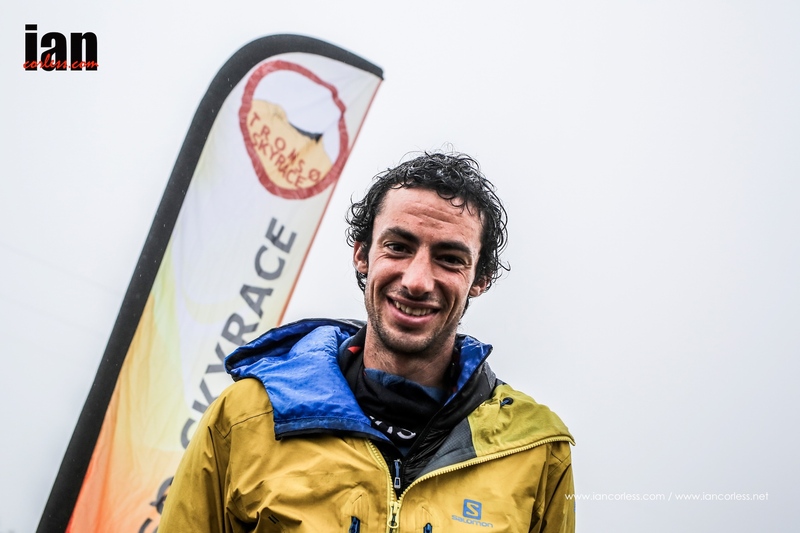 We bring you sounds and interviews from Moketsi Game Reserve and race directors, Michael de Haast and Adrian Saffy talk Skyrun and South Africa. Listen to Hyenas, growl with lions and dance to some quality ‘SA’ tunes. Philipp Reiter ©iancorless.comHow have the last couple of months been from a racing perspective? Philipp Retier has had a quite 2014 due to a problematic foot injury. 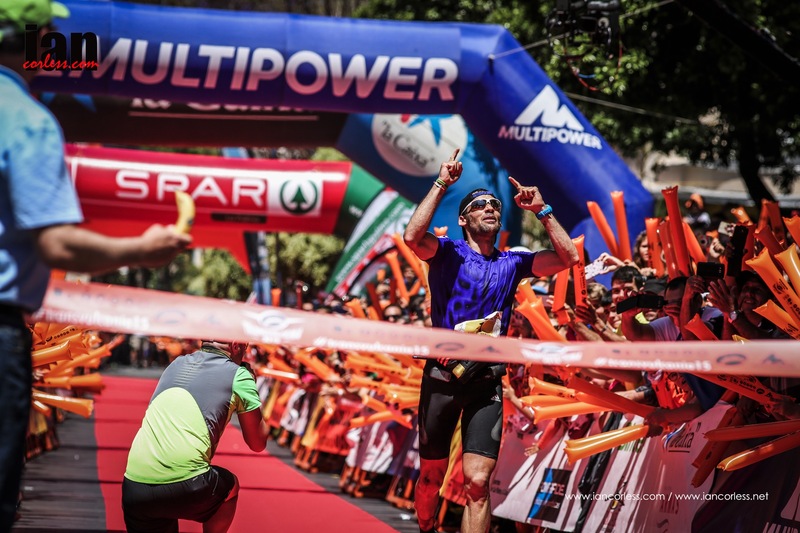 The season started well with a multi day adventure at The Coastal Challenge in Costa Rica and the iconic, Transvulcania. 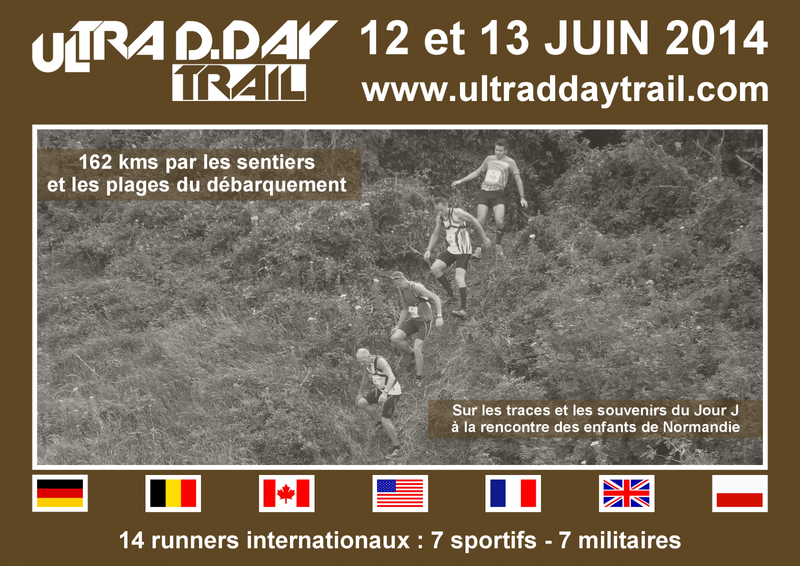 In June, running ground to a halt after running 100-miles in the charity D-Day celebrations in Normandy. 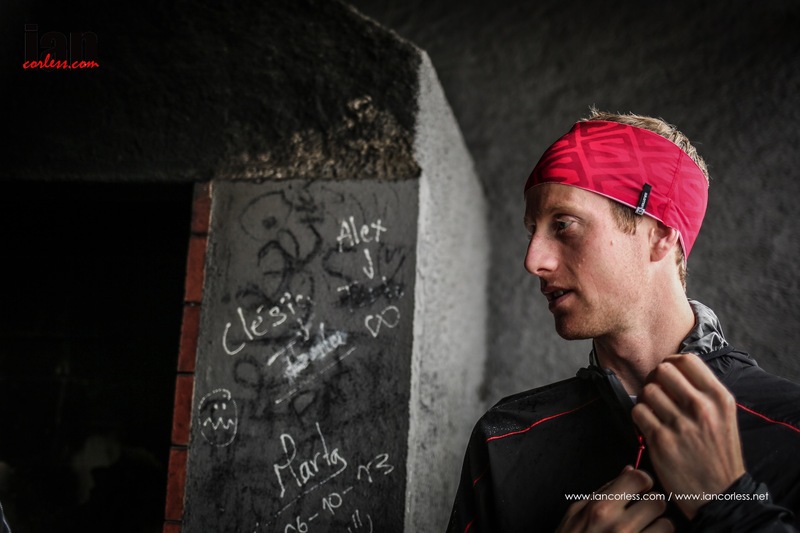 Philipp is back on track now and I caught up with him as he prepares for the Salomon SkyRun in South Africa. Unfortunately I have been injured for the whole summer from a community running event on the flat asphalt road and was not really able to run. I could not think about racing. To stay fit I was cycling quite a lot around my home town – MTB, road bike and cross-bike. 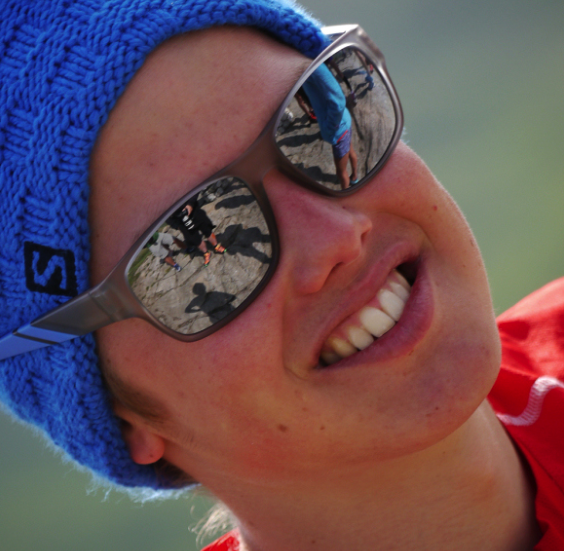 As you can imagine, it was very disappointing for me, but it is great to have a big (running) perspective now at the end of November with the Salomon SkyRun. Do you have any targets between now and your trip to SA? My studies at the university started in the beginning of October, so I have enough work trying to fit everything in my day; so no races are planned in preparation. I still feel more familiar to cycling than to running at the moment which I have to change in the next weeks. 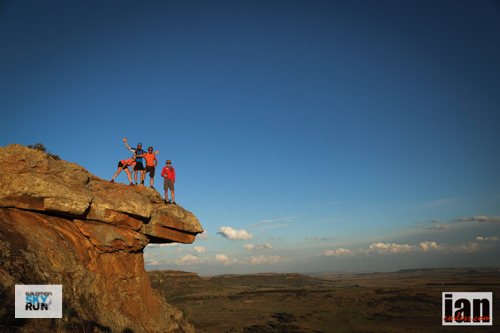 How’s training going – have you done anything specific for SA? 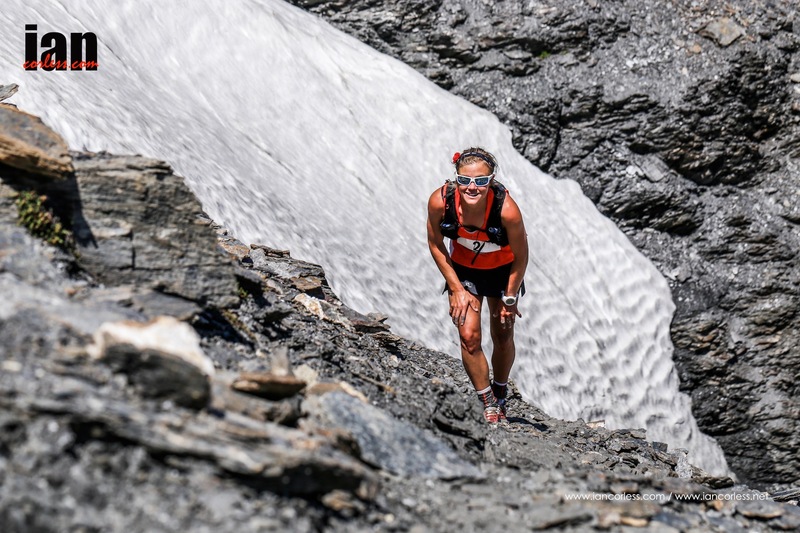 I have already asked a few participants about the terrain and climate at the SkyRun and figured out that the weather is changing pretty fast – hot and very dry in the valleys, freezing cold and stormy on the ridges. For the cold I can prepare at home and for the hot maybe a few sauna-sessions should be good! 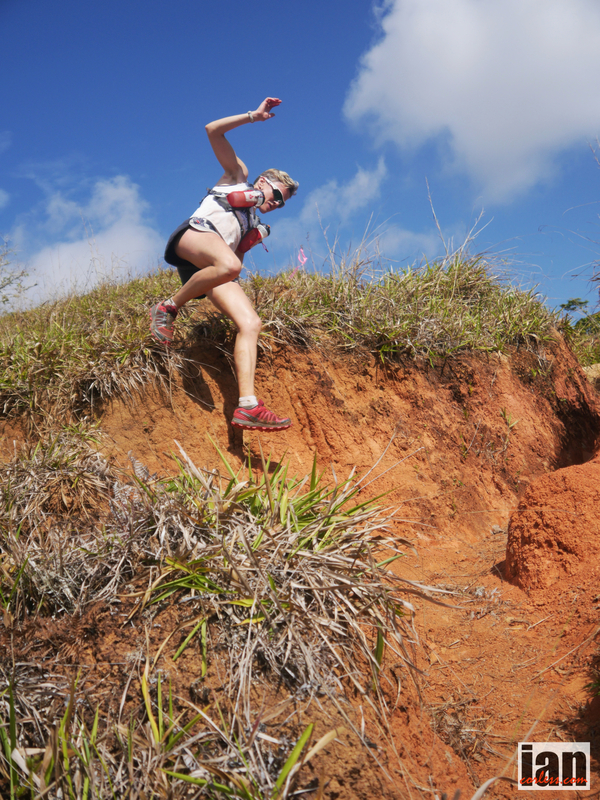 As the terrain is very rocky and rough I will run more off-trail at home. Should I? It is totally new for me not to “just” follow the marks in a race but that makes it more interesting. Then it’s not only fast legs and stong lungs to be in a good position but also your brain has to work much more! I am only a bit worried as I have no experience using the compass for navigation or a mobile GPS-device apart from my watch. 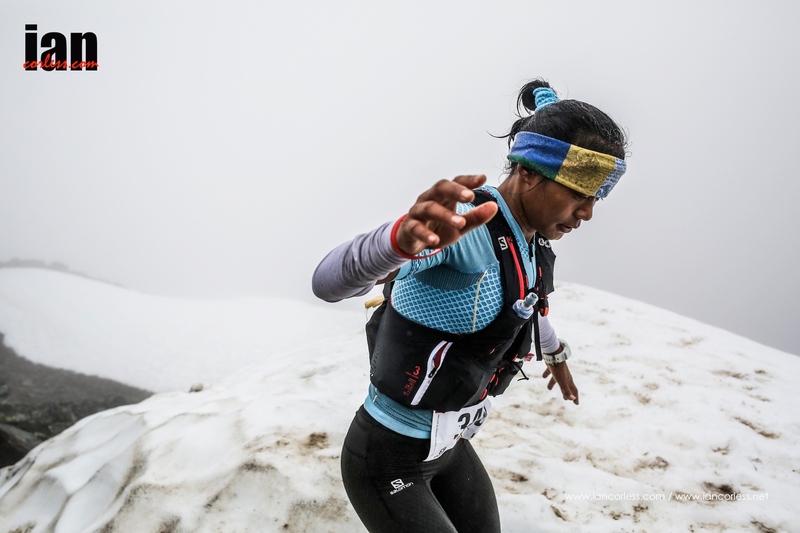 Yes, I have heared that they are really strong and apart form their fitness they are very familiar to the race route, the climate and the terrain. They know exactly where to find water, how to climb the barbed wired fences,… So, I will just thry to follow them. Aaagh, that is a good question. 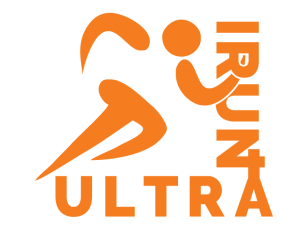 I have read that it’s $10.000 for the first runner who goes under 12 hours! 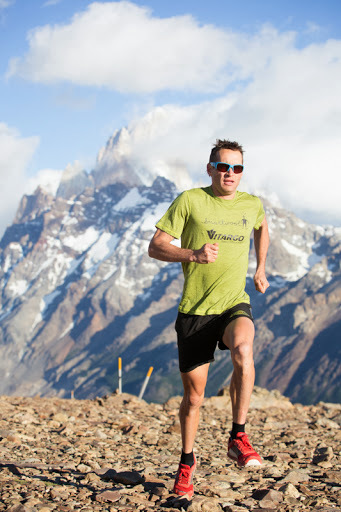 But I guess that is almost impossible and I know that my teammate Ryan Sandes, who is an excellent runner especially in that type of terrain, needed about 12:30h last year. So I am not sure if someone can beat that. It would be a great boost for my student wallet though. No, unfortunately not. But one of my climbing friends was there last year for bouldering and he was so excited that he will come back next year. He showed me some pictures – just stunning! 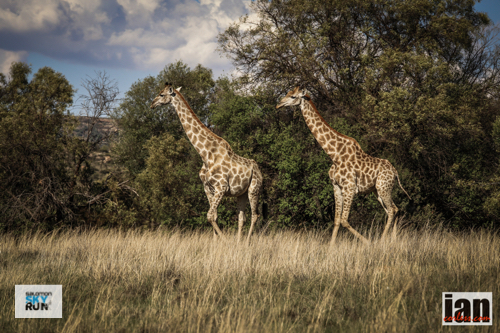 The huge untouched landscape, some wild animals you can only see in the zoo at home (giraffes, lions, elephants,…), get to know the SA culture and how it’s connected to the European colony many years ago. Eat the famous steaks. 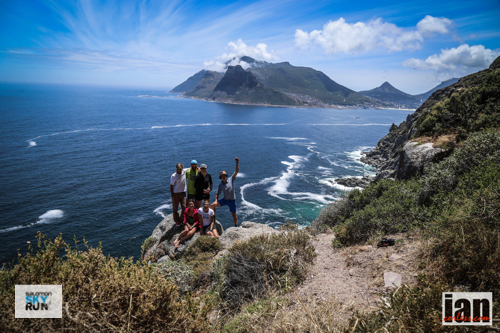 Go running on the table mountain and explore Cape Town – quite a few things to do… maybe I will need to stay? The eyes tell the story… they look through you. Deep in focus, almost blinkered like a horse, Jo Meek has only one purpose. 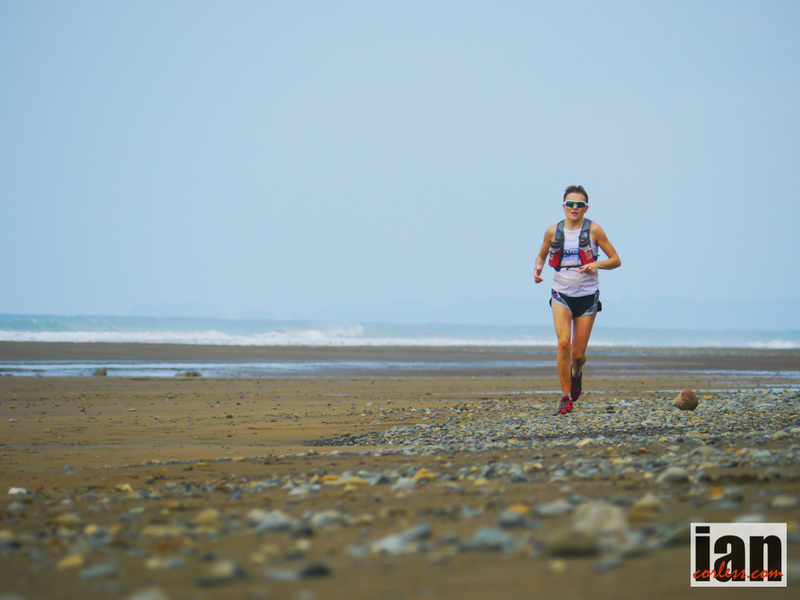 To run as fast and as efficiently as possible over 6-days and when crossing the final finish tape, be crowned winner of the 10th edition of the 2014 The Costal Challenge in Costa Rica. 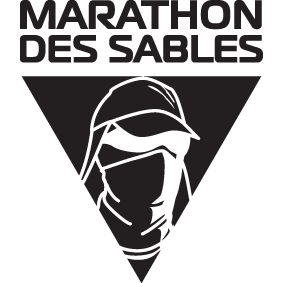 No more questions needed to be asked, at the end of the 28th Marathon des Sables, we all were well aware who Jo was, she was the lady who had just placed 2nd overall behind Meghan Hicks at her first Marathon des Sables. When you excel at one race it’s easy for many to look on and say, ‘It was first time luck.’ Not that Jo needed to prove anything, certainly not to me! I had seen her race; I had witnessed the dedication and focus as Jo pushed herself daily to get the best she could out of her body. As we all found out, Jo can push herself pretty hard; maybe too hard at times? On day-1 of the TCC, Jo raced like a demon. 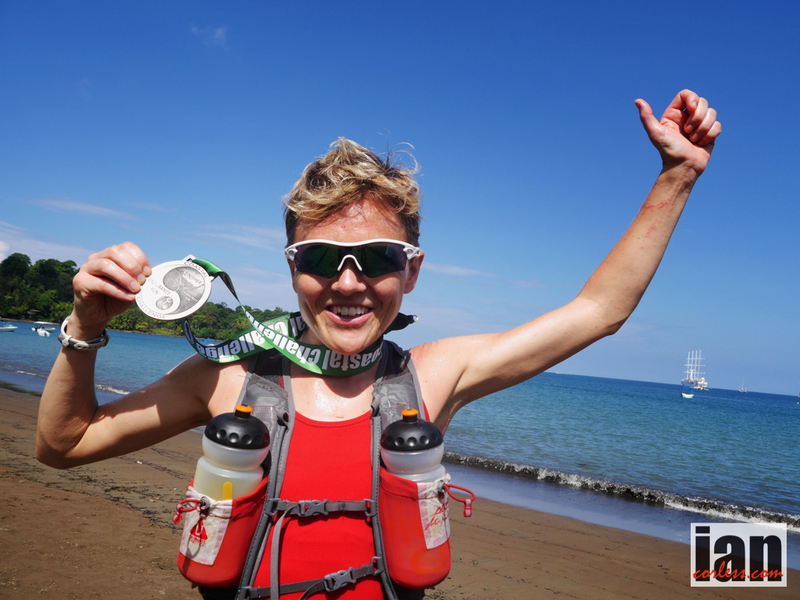 Unaffected by the Costa Rican heat and humidity, she put 45-minutes into the female competition and set the platform on which to build for an incredible victory at the 10th edition of the race. 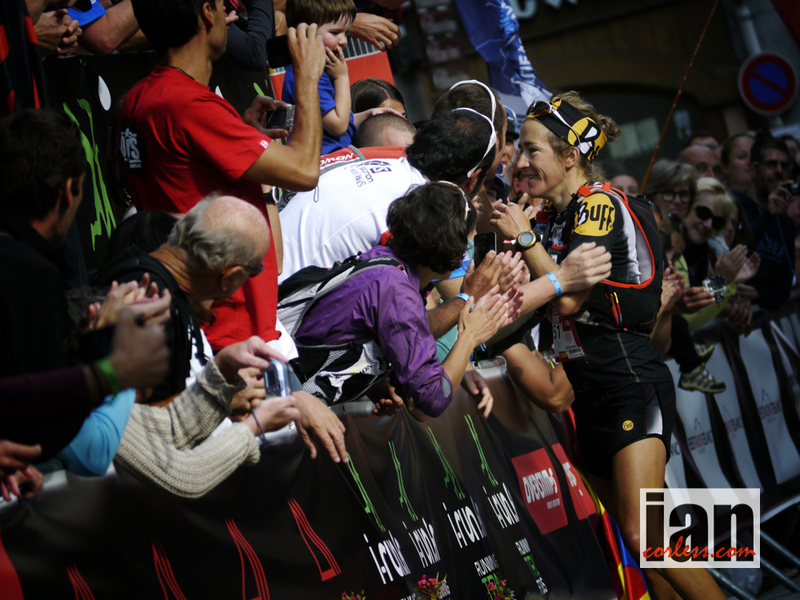 IC: A year ago I was talking to you at your surprise 2nd place at MDS. 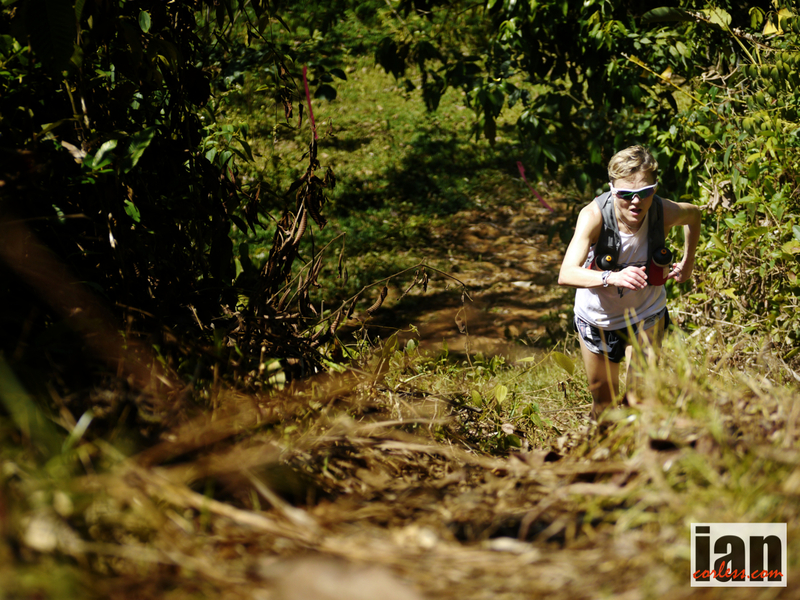 You have now been out to Costa Rica, a very different environment in comparison to the Sahara, raced against stronger competition? And you have won an incredible victory over 6 –tough days of racing. How do you feel? JM: I feel really pleased. I have complete satisfaction from the race. It’s possible to sometimes come away with question marks but I have none. I feel that the effort I put in was rewarded appropriately. 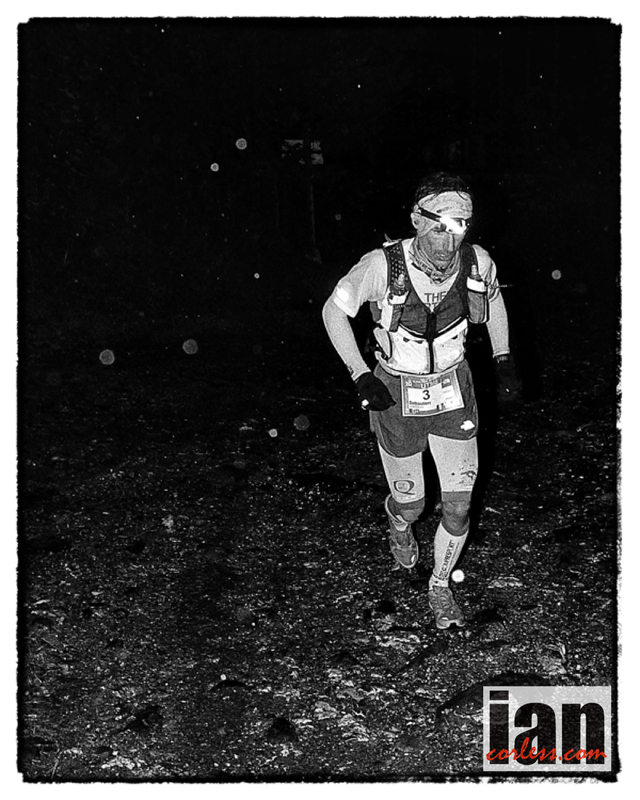 I put a great amount of dedication into this race and sacrificed lots. IC: Yes, you had that steely MDS look in your eyes. Like blinkers. 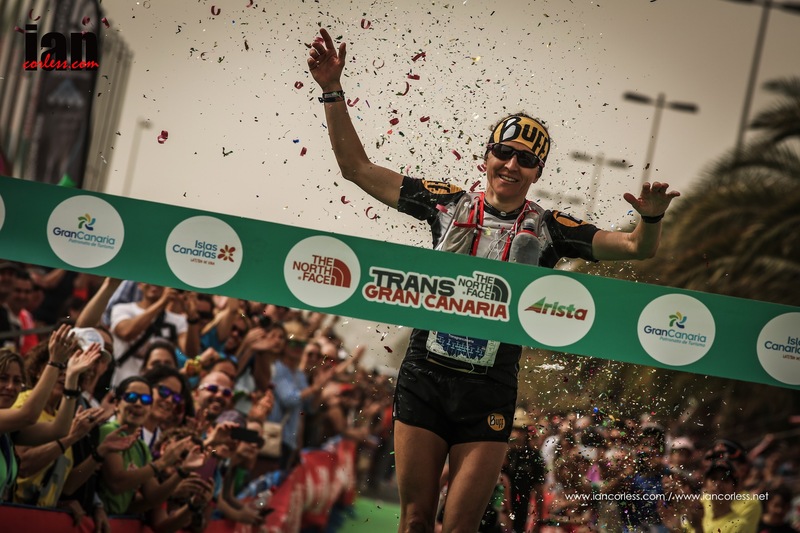 You dedicate yourself to the task and I guess knowing in advance what the competition was going to be like at TCC and having the MDS experience inside you, you were able to be far more specific in training. 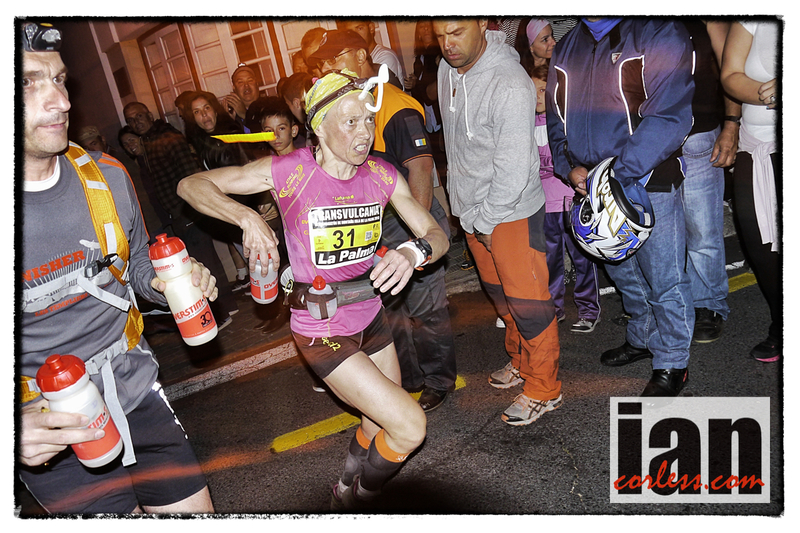 I know post MDS that you thought you had maybe been a little over cautious. You could have run quicker? So, did you go to TCC with all guns blazing and take each day as a race? JM: Yes I did. 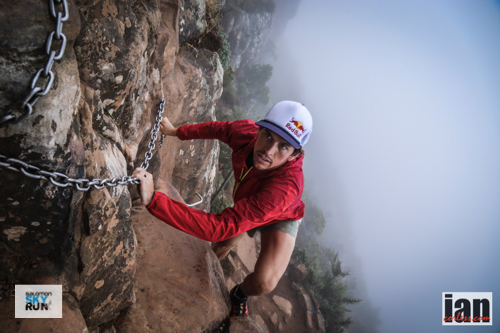 I remember listening to Ryan Sandes on Talk Ultra and he said it was amazing how quickly one recovers. I thought, I do recover well and I had nothing to loose. 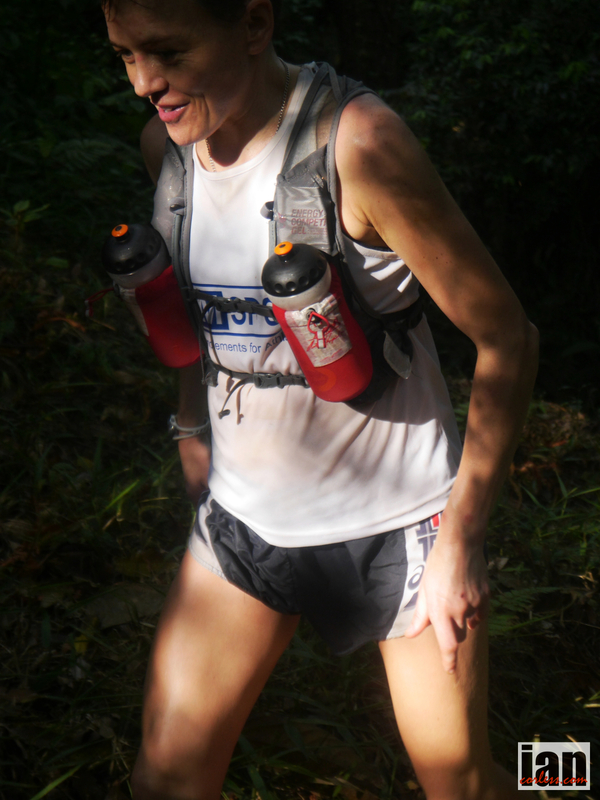 I know from MDS that I had been cautious, for example on the last day I pushed hard. Had I done that everyday the result may have been different but it’s difficult to say. So, at TCC I wanted to give it everything. I had prepared for the heat and my training was good. IC: You have just mentioned that you committed yourself from day-1. Needless to say, TCC day-1 was impressive. 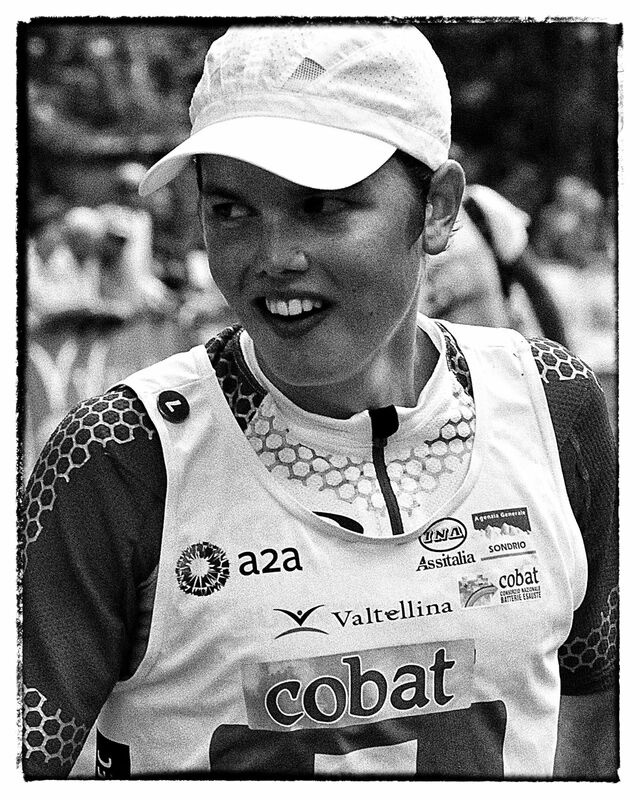 You put 45-mins into the competition, impressive, particularly when we look at the ladies who you were racing against. Of course it gave you a real buffer. A safety net. The biggest issue on day-1 for everyone (except you) was the massive contrast in European weather and Costa Rican weather. Even in Costa Rica itself, the temperatures between San Jose and the coast were remarkable. As you approach the coast the heat goes up along with the humidity. Day-1 has a later start so you are straight into the heat… mid 30’s and closer to 40 at the height of the day. But it did not affect you and the main reason for this was 10-days training in a heat chamber. JM: Yes. I was prepared. I gave everything on that first day. I had assumed that the competition would have done the same? Using a heat chamber is only a case of contacting Universities and they are usually willing to help. I assumed some heat work would put me on a par. As it turned out it wasn’t the heat that struck me but the pace! We were running slower than I expected so I ran at what was comfortable for me and nobody ran with me. I then ran scared thinking I had made a mistake that I was going to pay for. IC: Now you have had an opportunity to reflect on TCC can you tell us about the heat chamber, how did it benefit you, are there any crossovers between MDS and TCC prep? JM: I did the same sort of training. I followed a marathon program but I did more back-to-back runs. Essentially you are training for the same thing. In the heat chamber I was under the guidance of the team. I told them I would do whatever I needed to do… They told me I needed 10-days. You actually don’t need to exercise in the heat chamber, you can just sit inside but it takes longer. I could sit for 3-hours or run for 1-hour. I am dedicated, I am focused, and that’s a really big thing. IC: Lets talk about the training. 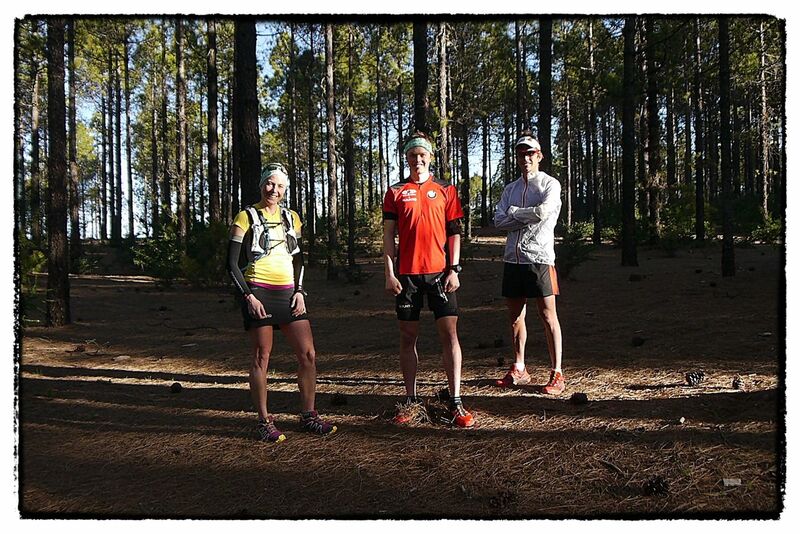 When you say a classic marathon program, I guess you are talking about a speed session, hill session and then long runs. Of course, you were training for multi-day so you built from 1-long run to back-to-back long runs. What did a peak week look like; I guess this was 3-4 weeks out from the TCC? JM: Yes, 4-weeks out and then I would taper. You are right; I would do a speed session, a threshold run, a hill session and then long runs that would build to back-to-back runs. What you can’t afford to do is not let yourself recover in terms of, if you have done a long run and made it fast, you need to recover. It was all about balance. You need to be sensible and listen to your body. I would do 2.5-3-hours normally for a normal long session, whereas my long run for TCC was 4-hours; but at a slower pace. I wanted to make sure I could incorporate hills to prepare me for the hills of TCC. IC: Back-to-back sessions, was that 2 x 4-hour runs? JM: No, I did 3 back-to-back 3-hour runs. 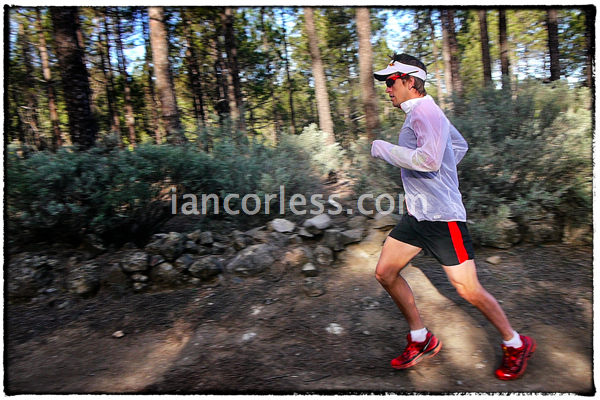 IC: So, 9-hours split over 3-days; I presume when you did this you eased back of speed and hill work? JM: I actually kept the sessions. 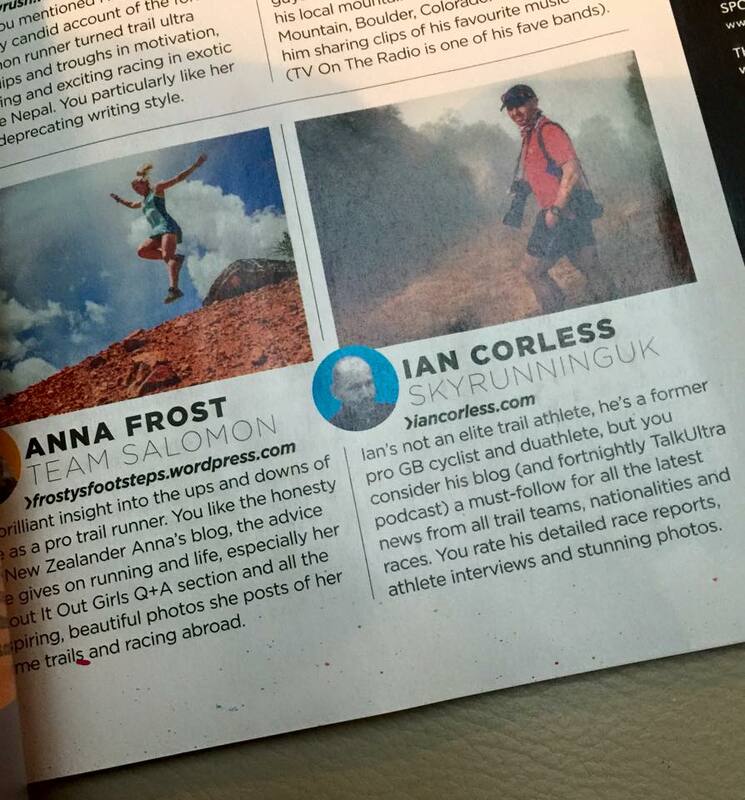 In actual fact, that week I did a race. You have to remember, the long runs were really slow. It was just a case of recovering from a food and nutrition perspective. The runs actually didn’t damage my muscles. I am sensible after each run. I rest. For the 3 back-to-backs I took a day off work to make sure I had the best platform from which to build. IC: So you planned this into work. You took a day off work and you treated this very much from a professional perspective. Feet up after the run, concentrate of food and hydration and make sure you are in the best place. JM: Yes it was like being a full time athlete. Of course day-to-day life gets in the way; cook dinner and walk the dog for example. I just took this relaxed and in my own time. IC: How did you break speed sessions down? 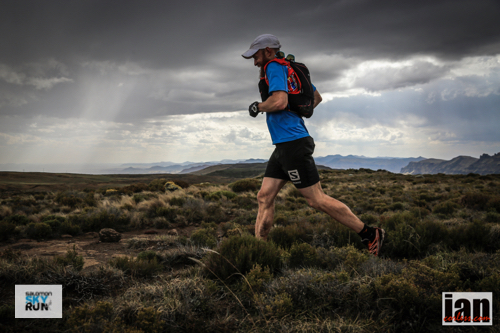 Many ultra runners look at speed sessions as something that they don’t need to do. But that is not the case, you actually need endurance and speed, so, how do you work this to your benefit, how did you go about speed sessions? JM: It is difficult to answer as we are all individual and it depends on your race. 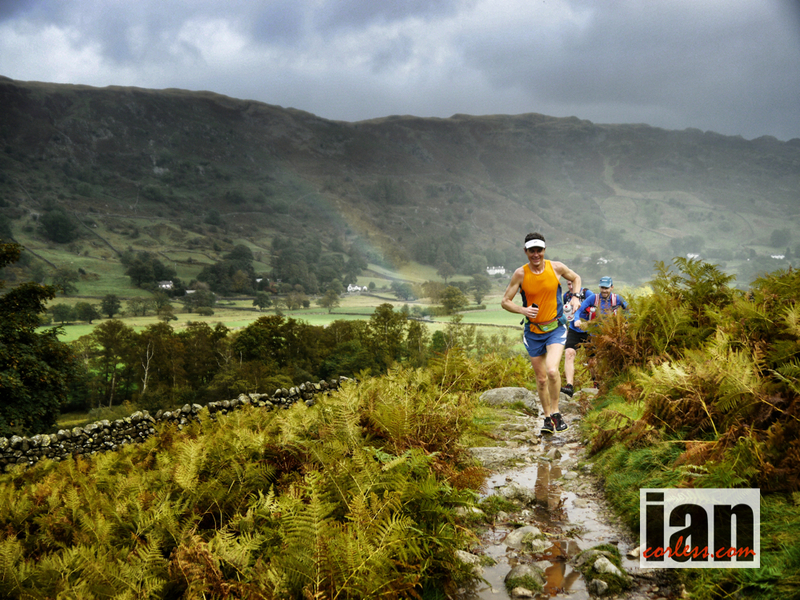 You need to target your sessions at the pace you want to achieve and then sometimes faster. I would do some track work running 400’s or I would do 1-mile reps. I guess you need to vary what you do… try to enjoy it! We all think, speed; it’s going to hurt. But if you find sessions you enjoy it makes a big difference. Also try training with others. IC: So you had your plan, you did speed, you did strength, you did hills, you did back-to-backs but you realized that to give you an edge or in your terms an equal playing field was that you needed to adapt to the heat. It was a variable. It was one thing you couldn’t account for. You did 10-days consecutive in a heat chamber? IC: What is day-1 like? JM: Oh you think I will never be able to run in this? I went in thinking that I would run at ‘pace’ but actually you run at a slow pace as they don’t want your temperature to rise too quickly. It feels bearable at the start. They monitor the core temperature and mine went too high after 30-min so then I had to walk and rest to keep it under control. It’s not as physically as hard as you may think. It’s all about core temperature. IC: What is important is the lesson that we can all learn. You trained in the UK; you did the heat sessions, which gave you massive temperature and humidity fluctuations. You got that process over with before arriving in Costa Rica. 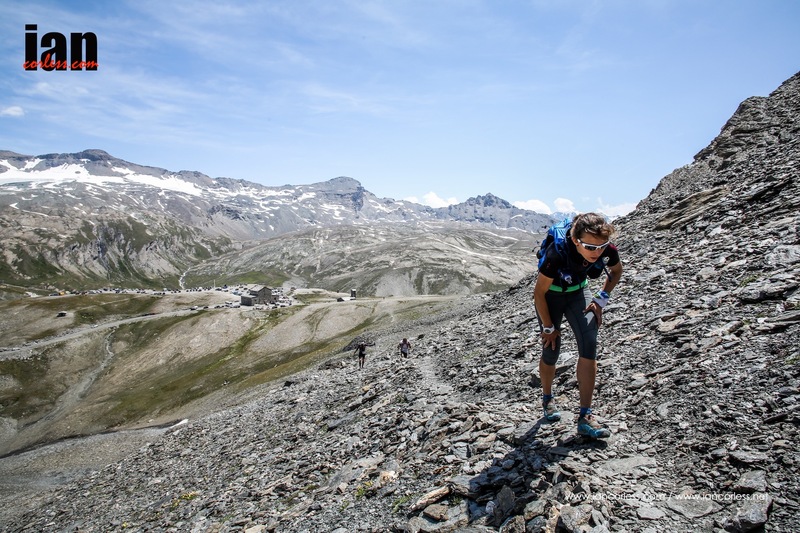 By contrast, nearly all the runners had to go through that process on day-1 of the race… for example; Philipp Reiter had a really tough 1st day. He was overheating and red, he was trying to control himself but to no avail. However his recovery was phenomenal. He recovered so well to come back strong on day-2. JM: That is the benefit of being 20! IC: Yes, for sure that helped. However, had Philipp and the others got day-1 over with in a heat chamber it would have made a massive difference. It could have been the difference between top-3 and a win. When you went back to the heat chamber how was the adaptation? JM: Mentally I was more prepared. On day-1 I felt nauseous and tired but I guess it just gets easier. By day-3 my resting core had reduced dramatically. It gets easier and easier unless you are a moron like me and fall off the treadmill. IC: Mmmm yes, you did make a mess of your face. Not the best thing to land on in the final days of prep in the build up to an important race! So, you adapted in the heat chamber. The process went exceptionally well and pretty much after the last session you made your way to Costa Rica. It’s a shock, isn’t it? Time changes, a day of registration, logistics and presswork, an early bed and then a very early start the following day that starts at 3am. A transfer by bus to the coast and before you know it, day-1 starts at 0930 just as the heat of the day is beating down. It’s hot, really hot, however it caused you no problems. You had that amazing first day. Post day-1 you said you felt great. You had taken the race on, you had pushed yourself and you had stamped your authority on the race. How did the rest of the race unfold for you? 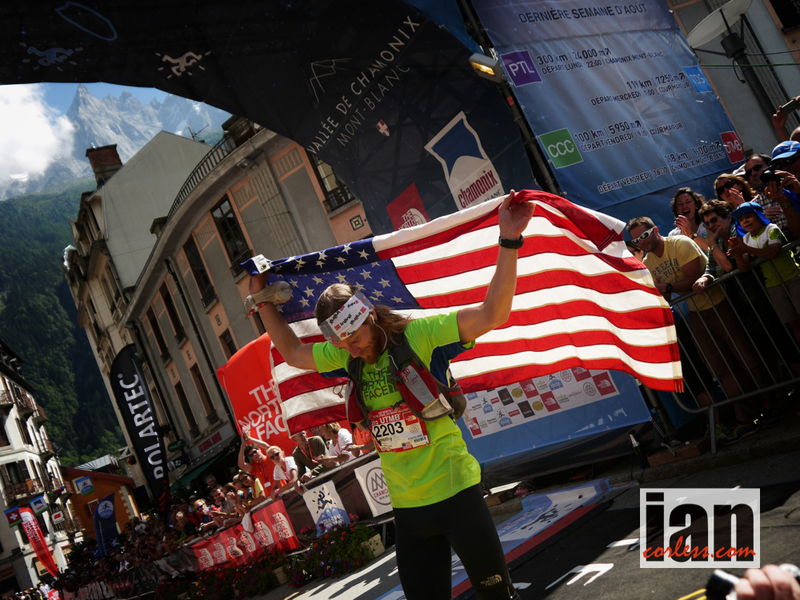 You had a couple of key moments; day-3 in the river section start when you struggled with the technicality, ironically, very similar to the male winner; Mike Wardian. 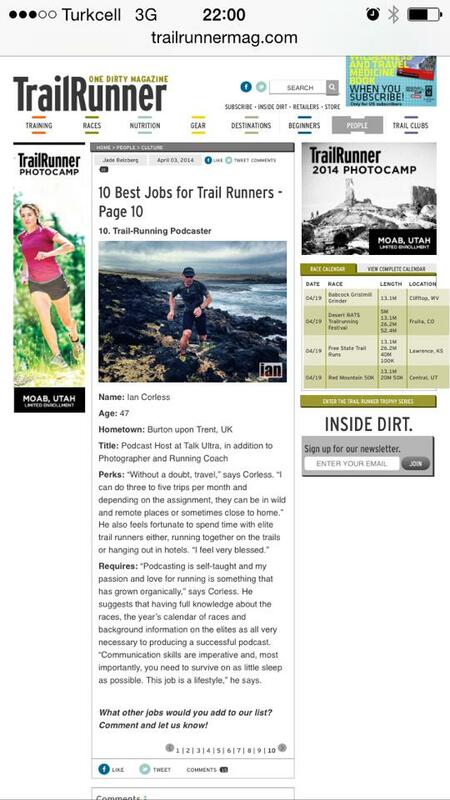 You and he are very similar runners, you both run well on fast terrain but less so on technical terrain. However, as the race progressed you both adapted and became far more efficient. IC: Moving up hill and covering technical ground became so much better for both of you. Lets go back to that day-3 start when you had Veronica Bravo and Julia Bottger ahead of you, did you think you were loosing the race? JM: When you can’t see runners you immediately think you are loosing 45-mins. It’s funny. 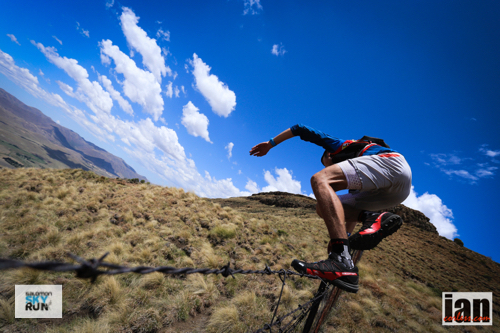 However, when it is so technical you can’t think about anything other than what is below your feet and what is ahead. I just had to follow the course markers and cover the ground as best as I could. All the time I was thinking, I just need to get on the flat or get on a good hill and start chasing and pulling time back. IC: You got through the section and you started to chase. You clawed back the time, you caught Julia and Veronica and then on the final beach section in 40-deg heat you pulled away and got another stage win. You re-established your dominance of the race. It must have been a great day and a great boost? JM: The 3rd day was the longest and most emotional day. It almost felt like the end of the race. I was very emotional. Had someone been waiting for me at the end I would have cried. 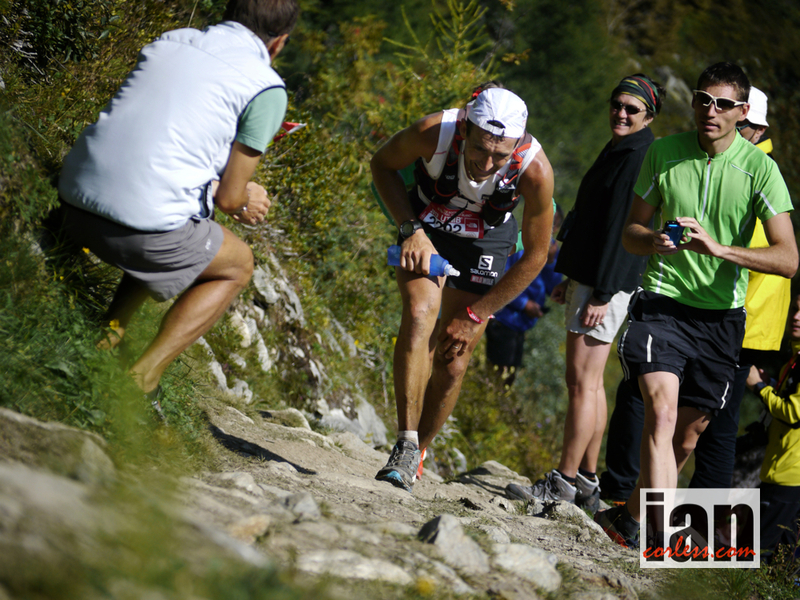 Even though I still had 3-days of racing ahead I had concentrated so much it had exhausted me. Having got through that it was a case of maintaining it. But as you very well know, I like to race and continued that way. I didn’t want to take anything for granted. I could have fallen and hurt myself and with Veronica and Julia chasing, I couldn’t be complacent. I raced hard to the end. IC: Post race you said one day in particular is the day that you got things wrong that impacted on the final 2-days, was that day-4? 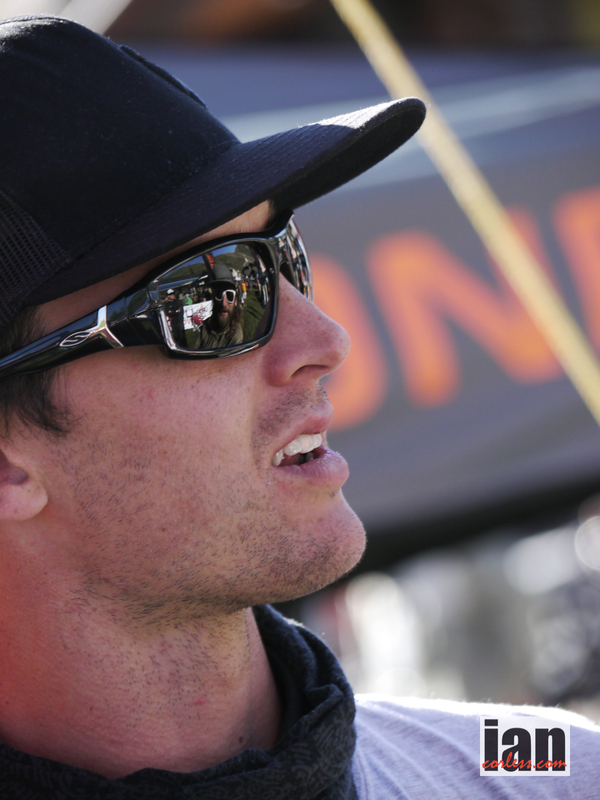 JM: I gave everything on day-3 and then I continued to race on day-4 when I didn’t need to? Day-5 was significant. 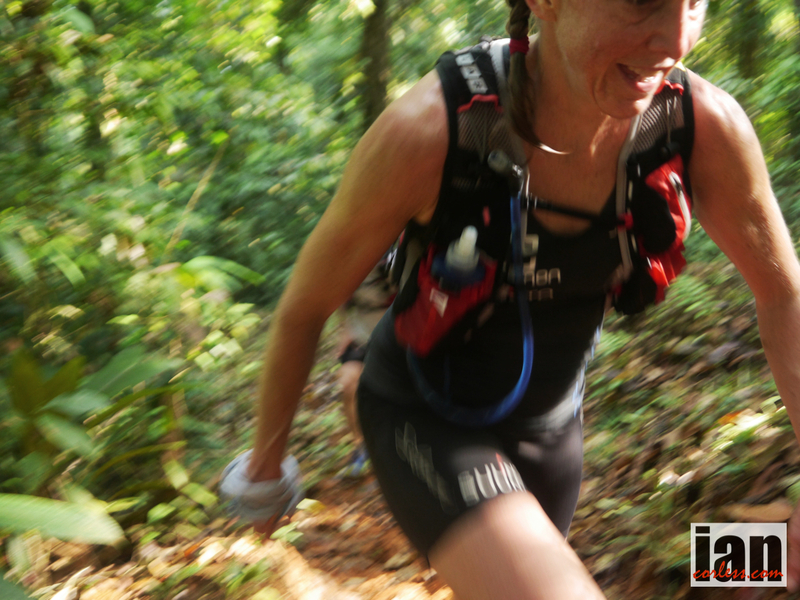 You had been in the lead and then Julia came back to you with about 10-km to go. It was the final feed station. You had a 60-min lead, so, overall victory was secure. JM: I was at the feed and Julia arrived and I thought, ‘Oh my goodness, I thought I have to go.’ I ran, ran hard and closed out the final 10-km like a stand-alone session. I finished out of breath with hands on knees. IC: When I asked why, you explained the situation. Of course you have now reflected and I hope you realize that it wasn’t clever racing? You could have still had a bad moment on the last day and needed the reserves. JM: Oh yes. I am well aware. What hurt me on the last day were sore quads. It was all the descending from the previous days. So I ran the last day within myself, however, had I thought Julia would have really pushed I would have found something, some extra energy. IC: You have 2-great experiences under your belt. 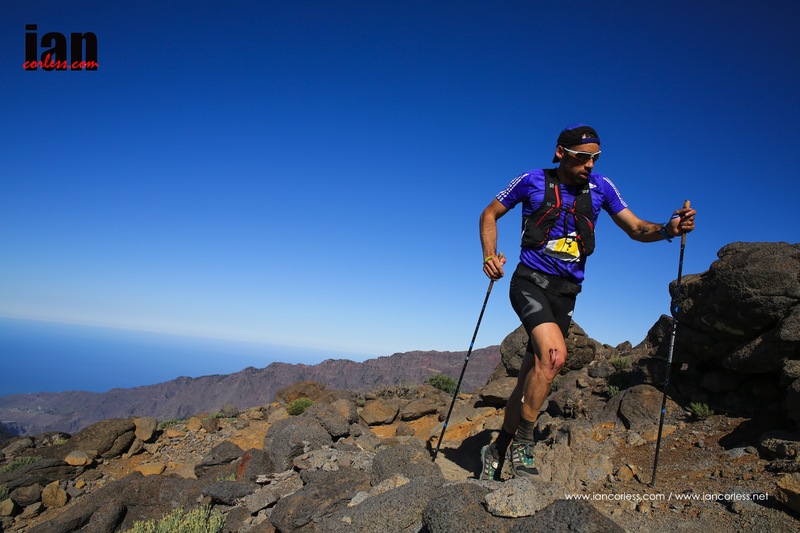 Marathon des Sables provided an introduction into multi-day racing and you performed maybe beyond our expectations but not beyond your own and now you have the victory at The Coastal Challenge. You have confirmed yourself as someone who can race hard, day-after-day, so, what are the hints ‘n’ tips you can provide for multi-day racing? JM: Assess what you as an individual want from the race and then train accordingly. You must have a goal. Do you want to compete or complete? It makes a big difference. If you get your mind it the right place it is half of the battle. Prepare mentally, don’t be scared of the environment. Do what you can do and make sure that is clear. Have a great understanding of your body and how it recovers. Give yourself what you need. Without doubt eating after exercise within an hour is key, especially for multi-day racing or training. Rest when you get an opportunity; elevate your legs. For sure your feet and ankles will get tired. Relax, eat, drink and let everything settle. If you can sleep, do so. It provides great recovery. Ultimately, common sense prevails and the body is an amazing thing. IC: TCC and MDS are very different. At MDS you had to be self-sufficient and carry a pack whereas at TCC tents and food were provided so you could run light, you just needed a hydration pack. Of course it’s a level playing field as everyone must do the same but from your perspective what are the pros and cons from both races and which did you prefer? JM: That is very tricky. At TCC having food in abundance is obviously great. You can eat when you want and as much as you want so that makes recovery easy. However, everyone has that option so it’s not a personal advantage it’s just a different scenario. At MDS you can use this to your advantage, if you have planned well and your nutrition is optimum for your own personal needs then of course your competition may have not, so this can be something you work into a positive. It requires more planning. It’s a game of calories v weight. 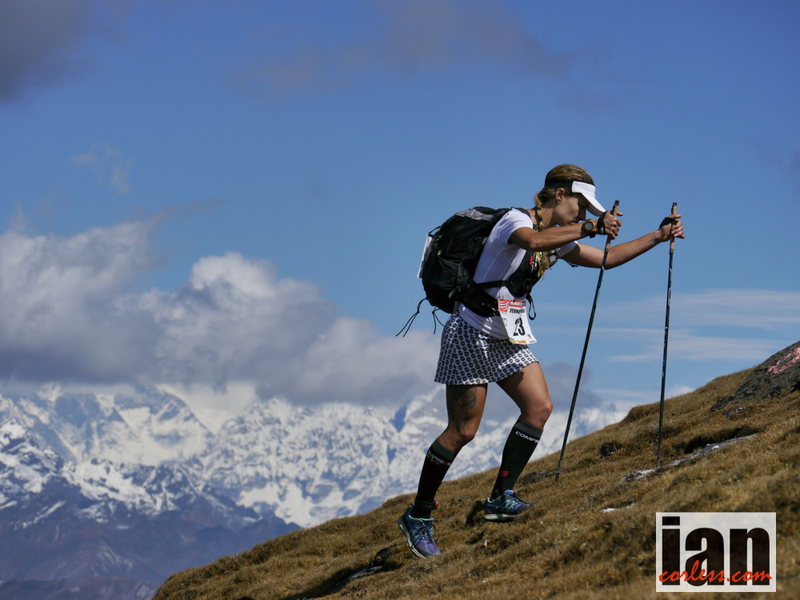 I like the challenge of the MDS scenario but equally your running style changes; your speed changes and you are carrying the burden of the pack. I guess it depends if you prefer faster racing or a more expedition type of approach. 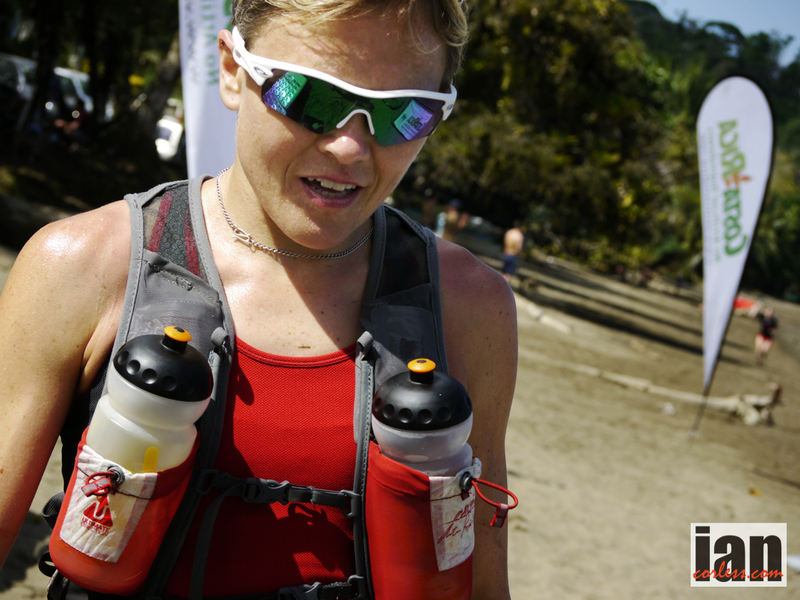 IC: It’s a crazy question but MDS compared to TCC, which race, all things considered was the hardest race? JM: The Coastal Challenge course. 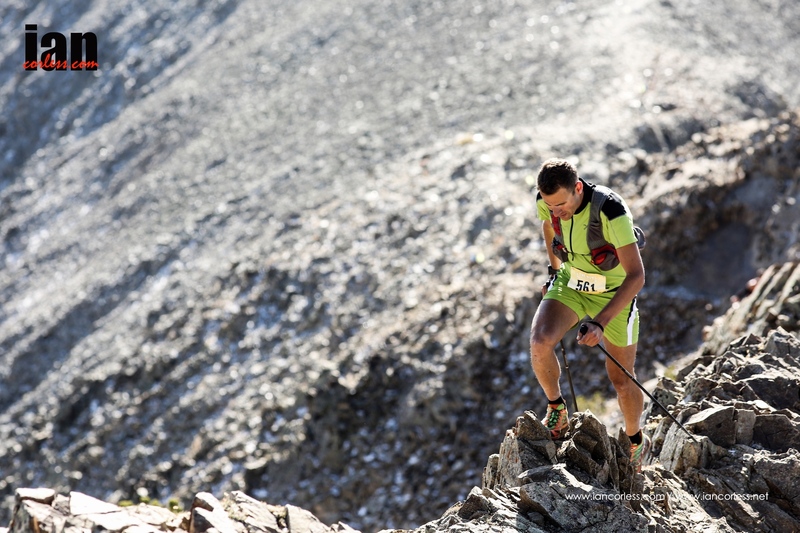 It has everything, ascending and descending, the damage the course did to my legs was far greater than the MDS. I found the MDS was harder from a food perspective, it took me 4-5 weeks post MDS to put the weight back on. 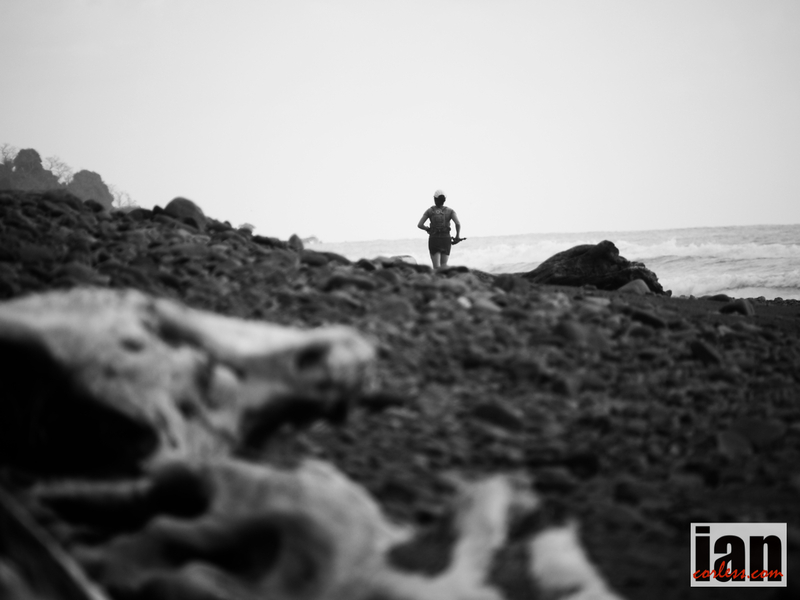 The Coastal Challenge course tests the body and mind and the continual changes of terrain keep you guessing and working hard. IC: So what is next, recovery is first and foremost I guess? 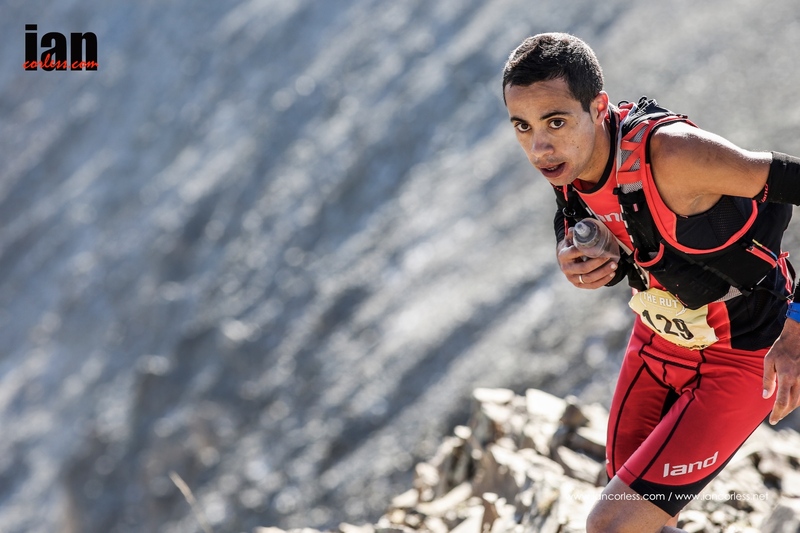 JM: I want to prove myself as an ultra runner. I want to run in a GB vest. 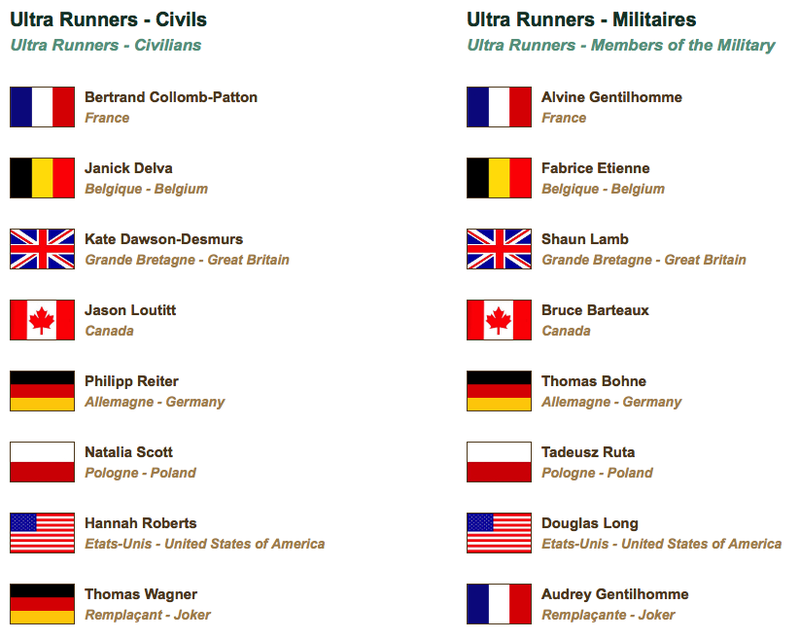 I will try to qualify for GB in a trail race. 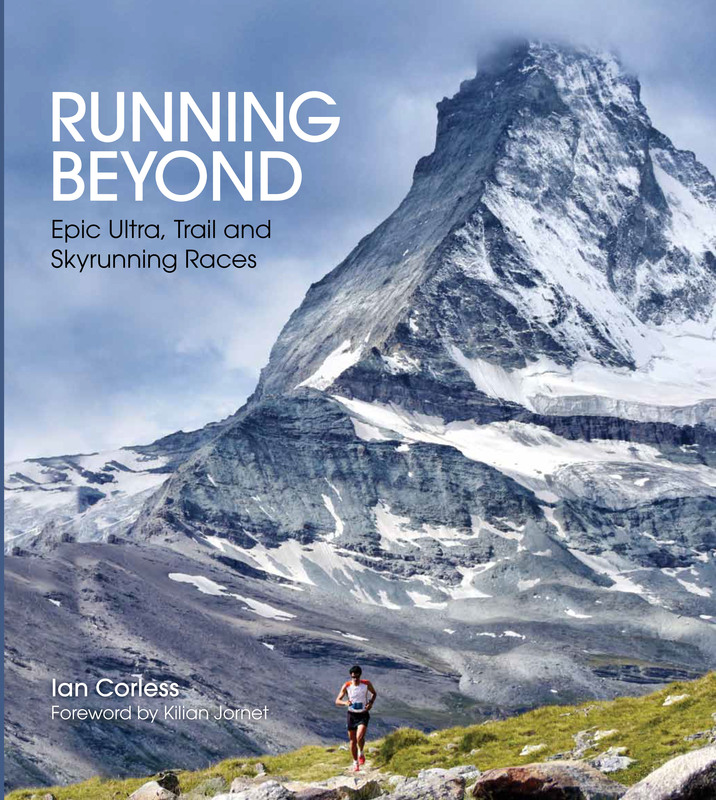 I’d like to do more stage races and I have entered Comrades in June. That will be an interesting test and very different to what I have currently achieved. IC: Finally, Costa Rica, what was the experience like for you, can you sum it up? JM: The race is incredible. Where else can you run (or walk) in such an amazing place! 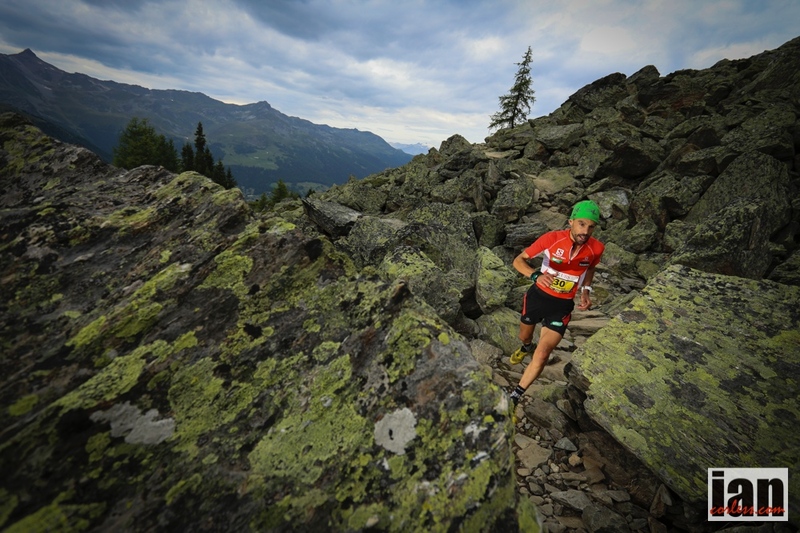 The organizers have created a race and a route that often is inaccessible to most; riverbeds, jungle and plains. I probably didn’t look around too much while racing but I stayed for 1-week afterwards and I had a holiday. I went diving, saw a whale, I walked, went white water rafting and saw plenty of wildlife. It’s just an incredible and exciting place. 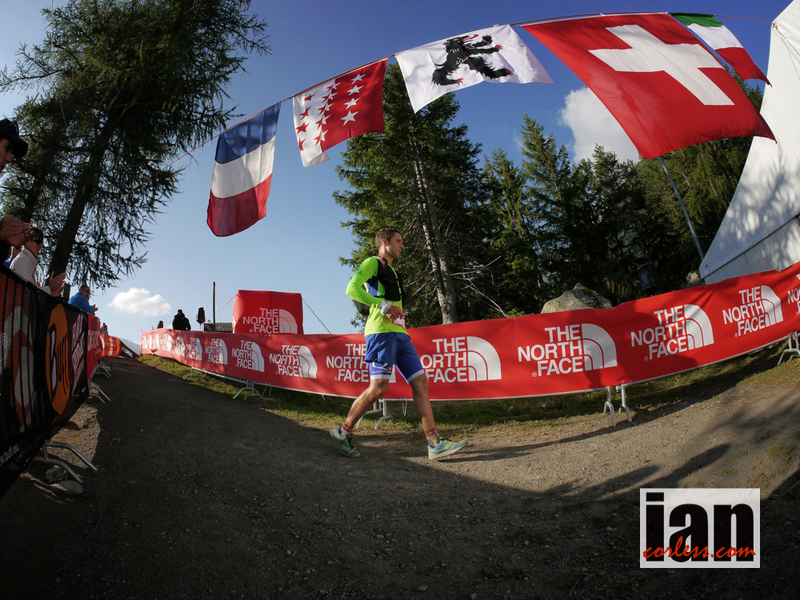 Even if you did just the race you would come away with a whole new outlook. It really is incredible. 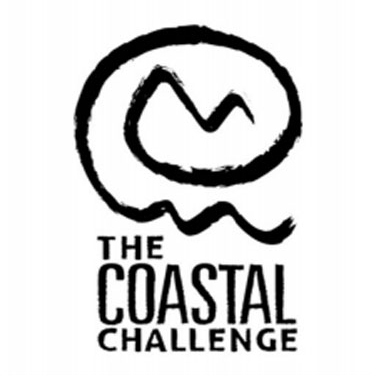 The 2015 The Coastal Challenge is now available to book. Want a discount? Use the form below for early bird booking. Please respect the ©copyright on these images. No reproduction, sharing or adding to social media please. 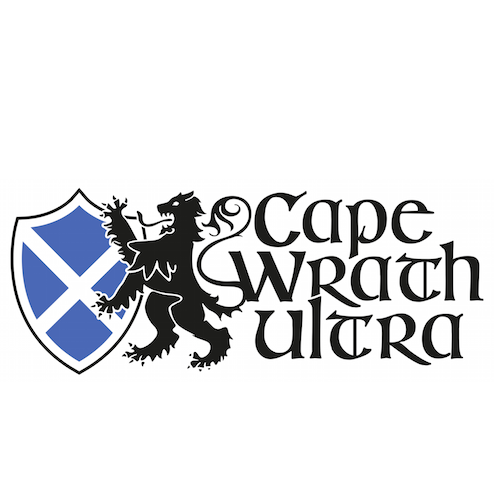 Interested in the 2015 Coastal Challenge?